Its been almost 10 years since I last posted on this forum after selling a gorgeous 993 C2. For 7 years I ran around in a TVR Chimaera but sold it at the end of last year after moving house and losing a garage. With the TVR gone I found myself looking for something fun on a budget that could live outside, and after looking at all the usual suspects decided a 986 / 987 was the way to go. 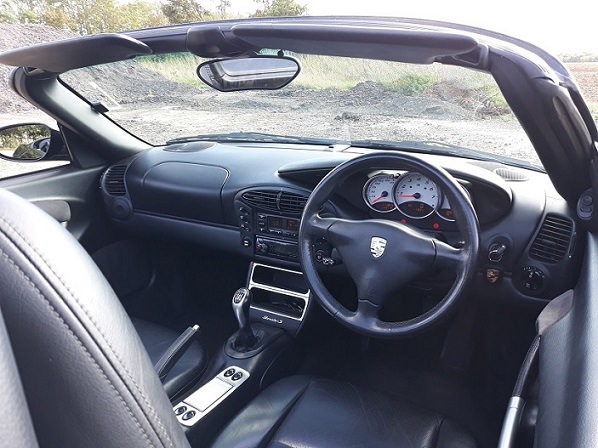 I’d previously been down the M96 engine route with a 996 so familiar with the pros & cons of the engines etc. I started looking at early 987’s but that slowly gave way to 986’s for half the budget. With it being a fun car I didn’t want to spend too much money, plus I work from home so don’t get out much..
After looking at a few cars I did a deal on a pampered 2000 S with a comprehensive history that looked and drove like a much younger car. The only issue is a heavy clutch that works fine but will be changed in the near future. 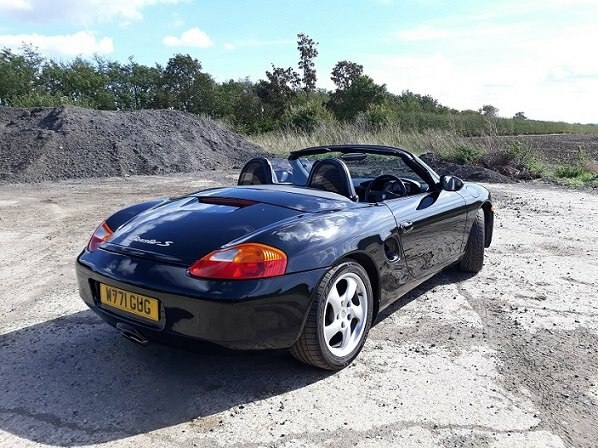 I bought it with 111k on the clock having had a lot of recent work done; brakes, coffin arms, water pump, front springs, ARB bushes, AOS & a facelift hood with glass screen. Its since been inspected by a specialist, had the gearbox & engine oils changed (no nasty surprises in the old oil filter) renewed all the corroded exhaust fixings and swapped the dash speakers with the Alpine upgrade. In all its in great shape. It currently stands me at £5.5k which includes the cost of the work I’ve done so far. It sounds fantastic (Hayward & Scott Bypass mod) goes, stops and handles beautifully. It’s such a great value little car and most importantly great fun to drive! Looks like a great example! 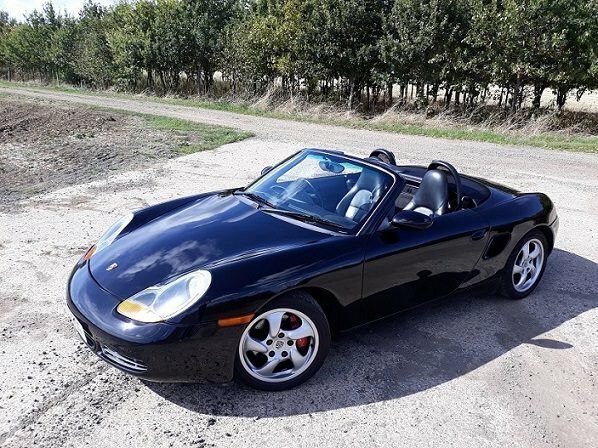 I was always against the Boxster but after stumbling across a bargain 2.7, I've really got in to it and see what the fuss is about. Brilliant cars and seriously under valued for the quality and fun that they offer. I'd generally been a bit dismissive of them but now I'm into one it's unquestionably one of the most fun cars I've owned. They're just great value at today's prices. When the 986 came out, we hated it, the Pork owner in the group had a lovely 993 C2s and we were finding the water cooled era hard to swallow. Felt so sorry for 996 owners that from the front their cars were indistinguishable from the ‘Bogsters’ as we used to call them. Now we love them though, so much bang for your buck and the fact it shares so much with its big brother is a blessing. Said mate now has one sitting beside his GT3 996.2 and it’s a peach. Came from OPC Reading being their demo car and it has every available option. Including the same seats as his GT3. Got it for around 6k IIRC.